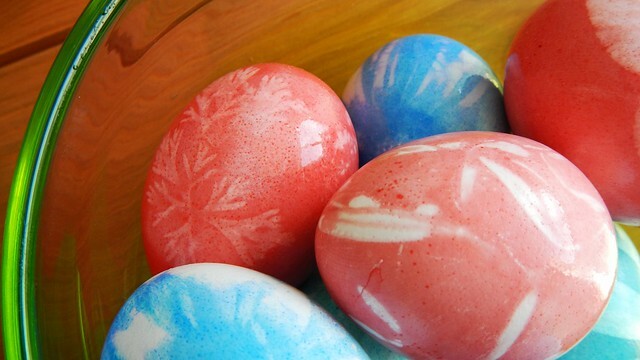 After our success with the Tie-Dyed Easter Eggs last year, Cait and I decided to make it a tradition, just like our Christmas baking, and do it again this year. Obviously, we would do something different (the tricky thing about this blog is I can’t ever really do the same thing twice). 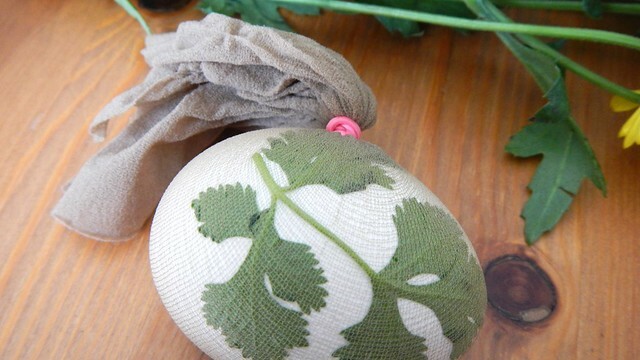 So after looking at this post and this post on dyeing eggs with natural dyes and using plants to make impressions on them, I knew this was something we needed to try – FOR SCIENCE. 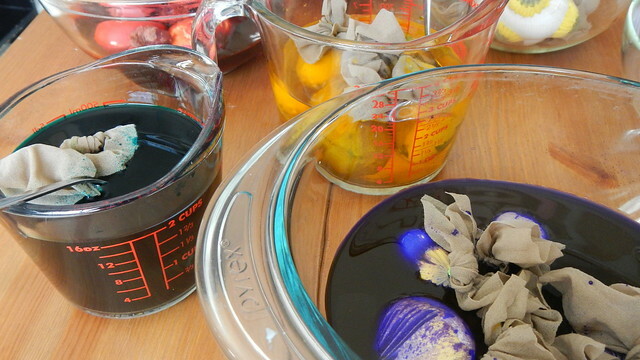 However, with Indy now part of the family and requiring our 100% attention at all times to avoid him being eaten by Gren, I knew we didn’t have time to set up natural dyes for the eggs. We would do that next year. 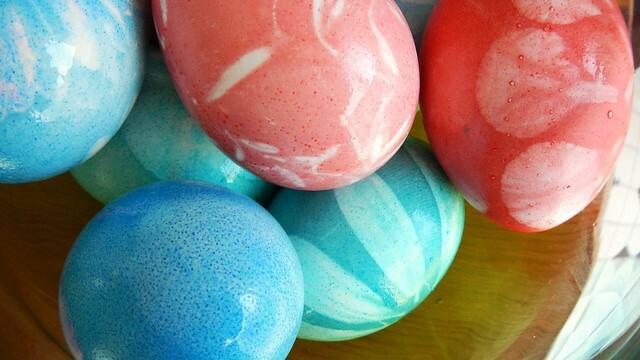 I had some Ukrainian style pysanky dye that I purchased when Cait and I had a different plan for science-y Easter eggs (maybe we’ll do that another year as well), so I figured we’d use that instead. 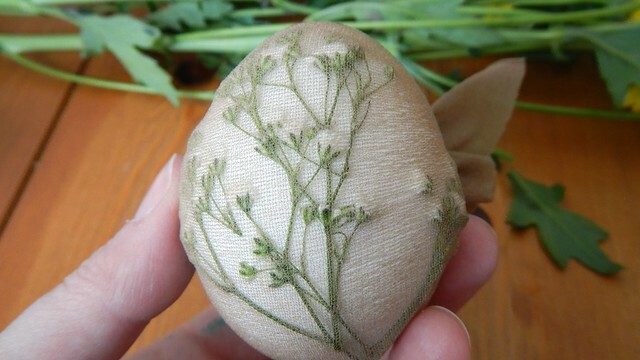 So all you need for this is whatever dye you’re going to use, some rubber bands (again, leftover from the Tie-Dye incident), some cheap or old pantyhose (the Pie bought this for me at the Dollarama and said it was an odd experience), and some flowers or plants. The plants that work the best are really floppy ones that are thin and pliable. 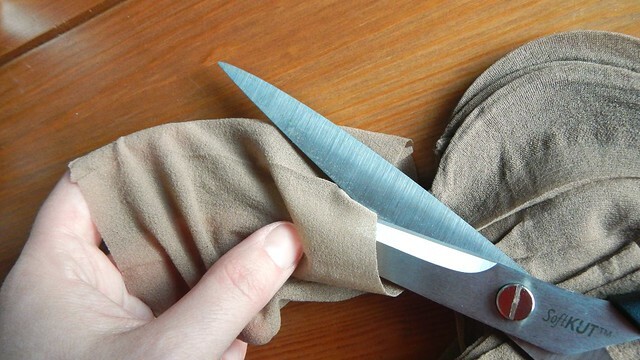 Use scissors to remove the legs from the pantyhose and cut them into small sections large enough to wrap around whatever eggs you’re using. You can either leave them as a tube or slice them open – I found it was easier to open them up. 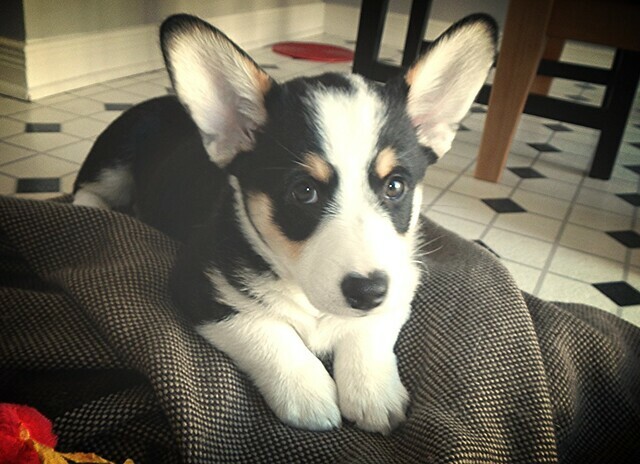 Although I left the toes as-is. Oh and you need eggs, did I mention that? 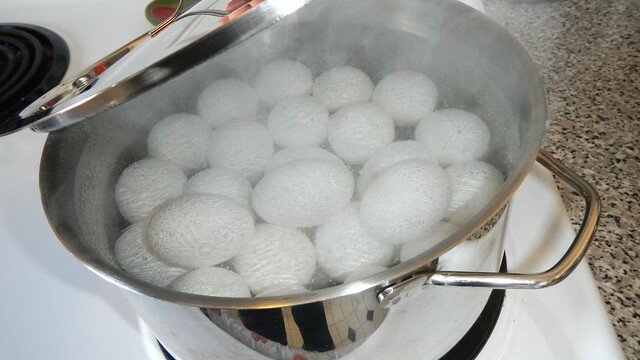 We’re going to hard-boil them in advance. 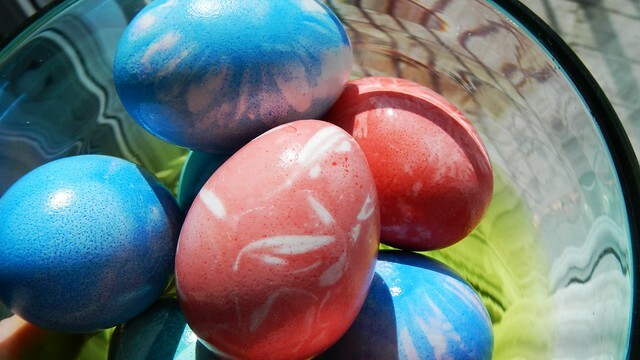 Don’t worry if your eggs have those pink date stamps on them — that dye will come off in the boiling process. 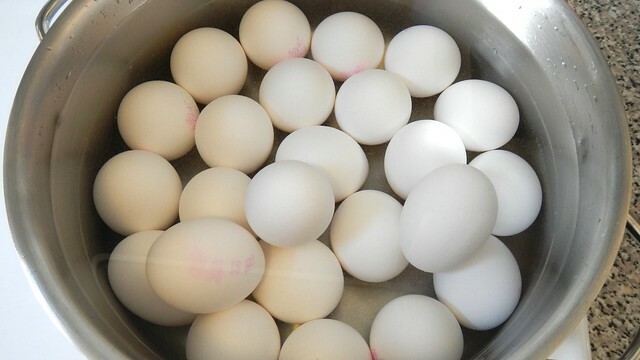 Set all your eggs in a pot of water and bring it to a boil, then turn off the heat and remove the pot from the burner and leave it with the lid on for about twenty minutes. 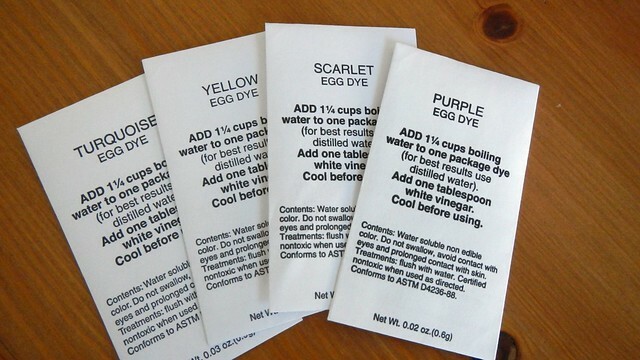 Now you can work on your dye. Cait and I picked out four colours to use. 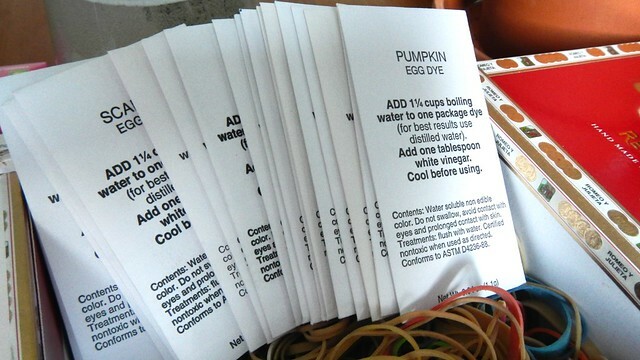 I followed the instructions on the packet, using distilled water (leftover from our soap extravaganza) and vinegar to prepare my dyes. Then I had to let them cool. And just a warning, powdered dye gets everywhere, as I learned during my Tintex experiment. 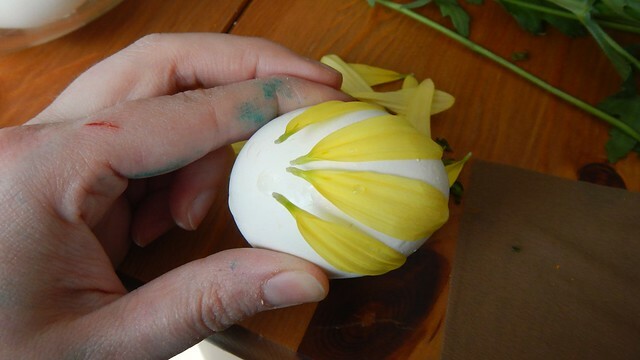 Then all you need to do is take a piece of flower or leaf and put it on your egg. This is some cilantro that I’m growing on the kitchen table. 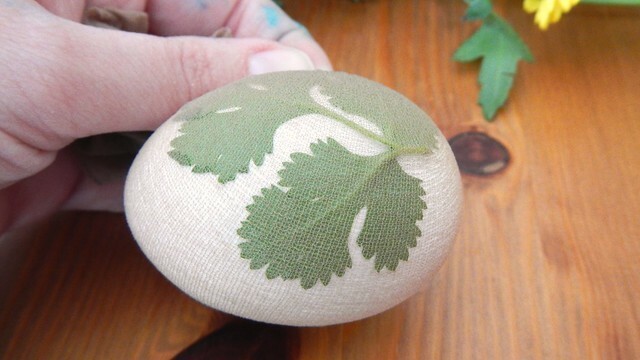 If you dip the leaf in water first before you smooth it on it will stick better. 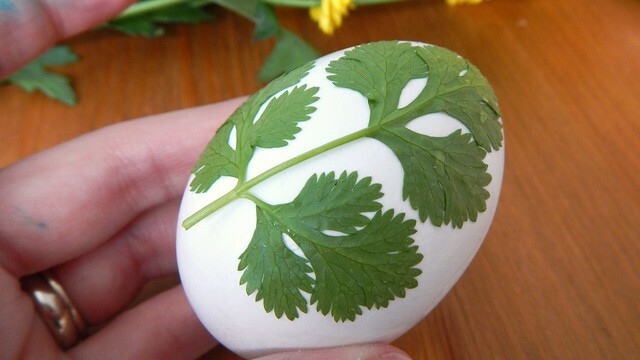 Cait and I also suspect that the thin layer of water between the leaf and the egg provides a bit of surface tension or something science-y that will serve as a barrier for the dye later on. 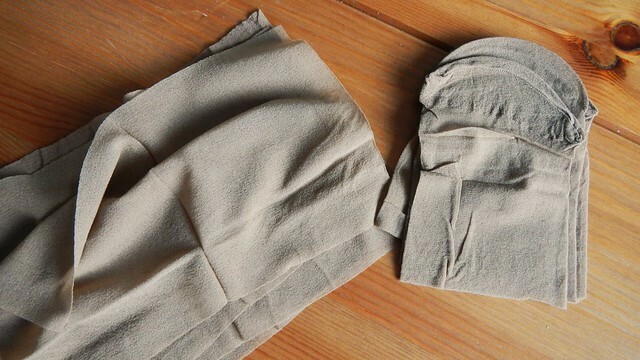 Then all you need to do is wrap it tightly in a piece of the pantyhose. 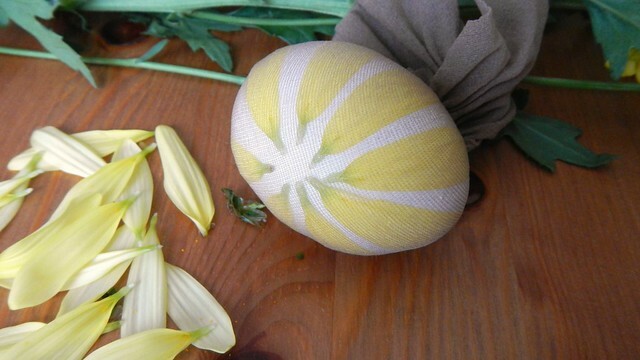 The tighter you wrap it the wider the spaces between the strands of nylon and the easier it will be for the dye to get through – also it will press the plant closer to the surface of the egg and be a better dye blocker. 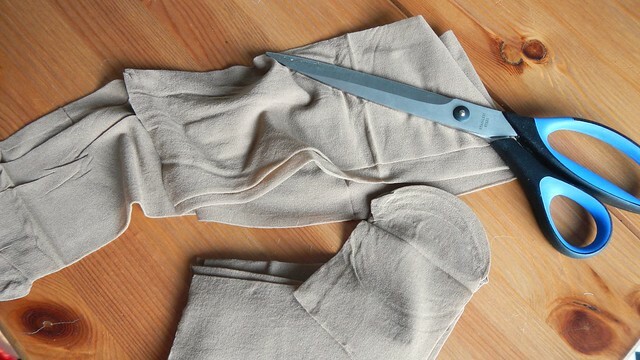 Secure the ends with a rubber band. We tried it with some bigger flowers. And some wee small flowers. 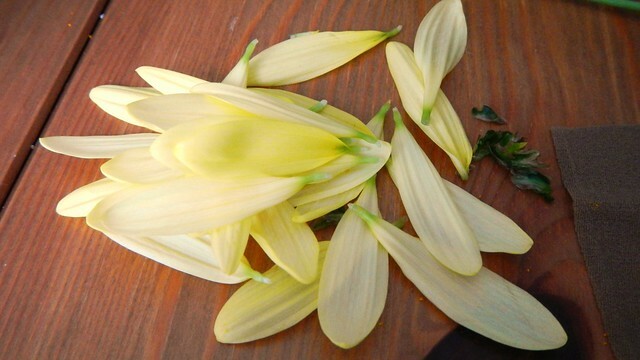 And just the petals of other flowers. This is less easy than they make it look on the internet. 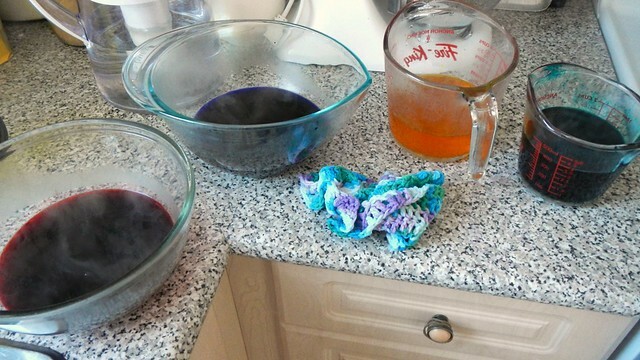 Into the dye. Leave it for however long you are supposed to according to your dye. We hauled ours out after a while and gave them a rinse – we probably should have let them dry in situ but we were under a time constraint. As you can see the ones with the floppy thin plant materials worked the best. 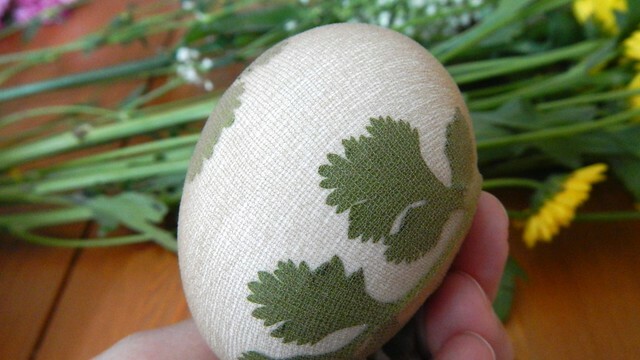 The one on top here is a few sprigs of tender rosemary and we were both quite pleased with how that turned out. 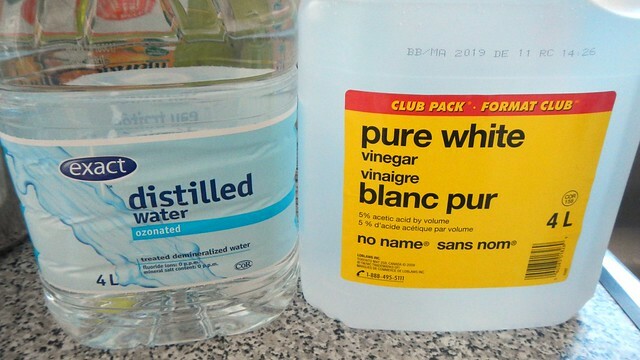 All in all, though, this experiment could have gone better. Part of the issue is that we couldn’t really find any nice slender foliage as Ottawa is still covered in snow. This is definitely an activity better suited for a more southern climate. 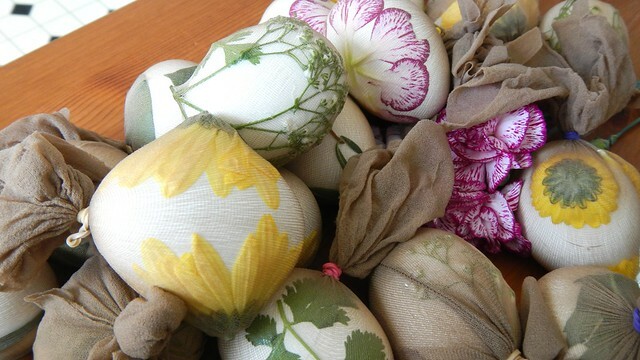 The shots with the leaves/flowers wrapped around the eggs are actually quite gorgeous. It’s a shame the colours didn’t come out as contrasted, but hey, the end result is still gorgeous regardless! They are beautiful! A lot of work, though. 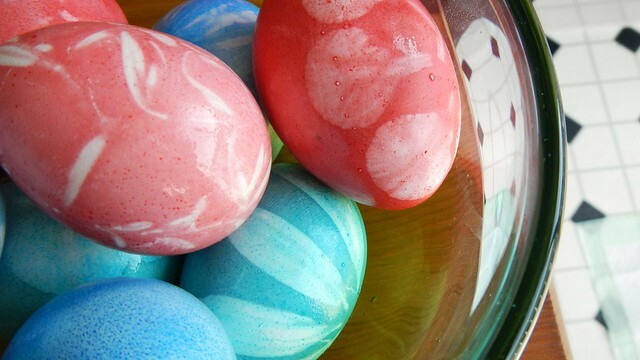 All Irish eggs are brown, so I’ve never even tried to dye eggs for Easter here. Ah well, not like there are kids around anyway! 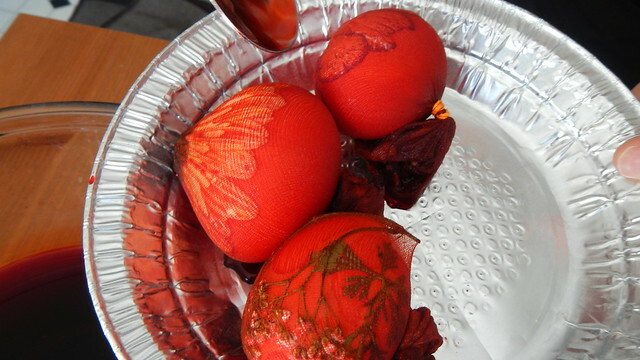 Cait and I successfully dyed a brown egg last year – if you go with a saturated colour or something in the red spectrum it works! This is such a creative idea! 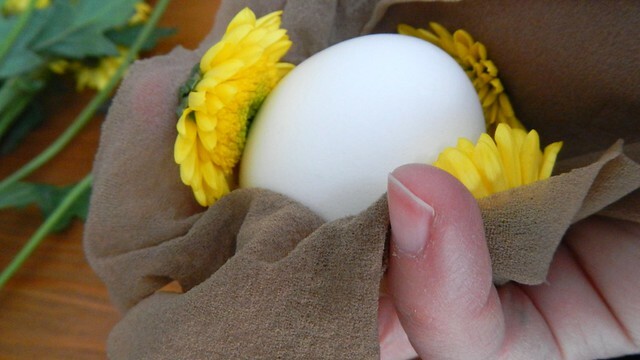 It’s so easy and fun, and for all ages, too! 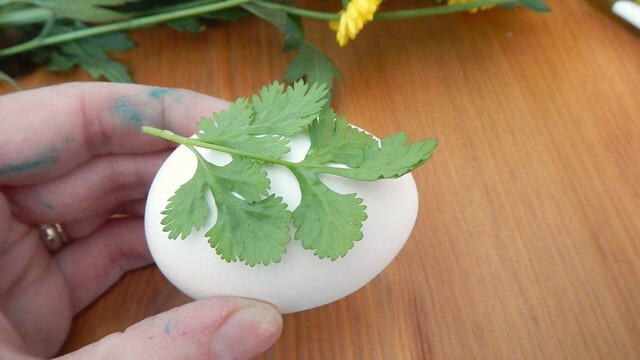 I have to make sure to try this next Easter.